REC Silicon, a Norwegian company, sees Moses Lake at the center of a high-tech manufacturing revolution. But that vision is likely dead unless Washington and Beijing can settle their differences on trade. For the 200 or so workers who still have jobs at the REC Silicon manufacturing plant in Moses Lake, the last few months of the trade dispute between China and the United States have been agonizing. In July, the Central Washington agricultural town learned that the plant, which uses cheap hydropower to make polysilicon, the raw ingredient for solar panels, would lay off 100 employees after a policy change in China, the world’s biggest solar-panel maker, sent polysilicon prices plummeting. The letter, issued on a Friday, touched off a minor panic among Moses Lake residents. “I know lot of people had a horrible weekend,” said REC Vice President Francine Sullivan, who got calls from unhappy residents. That panic turned out to be premature. Sullivan and her colleagues managed to persuade REC’s board “to keep [the plant] going”, she said. Last month, the small Norway-based company that owns the plant announced it will keep running at least through early 2020. But few in Moses Lake are breathing easier. The global polysilicon market continues to crater. Just last week, REC reported a $6.1 million loss, its second quarterly loss this year. Much of that is the result of Chinese trade tactics and industrial policy, which have helped drive polysilicon prices down from around $22 per kilogram four years ago to the current $12. That is around 20 percent below what it currently costs REC to make polysilicon at Moses Lake. Those trade tactics show little sign of abating. Before the trade dispute, nearly 80 percent of the brownish, pebble-shaped polysilicon granules produced in Moses Lake were sold to China, where they were eventually processed into the silicon wafers that make solar cells. With the current tariffs, REC must sell into a market outside of China that is far smaller and more competitive. The REC saga is just the latest example of trade politics trampling the complicated supply chains that govern everything from seafood and apples to smartphones and automobiles. But REC’s troubles go well beyond the current Trump-vs.-China trade dispute. The first Chinese tariffs to hit REC went into effect in 2014, during the Obama administration. At the time, China was vying to be the dominant low-cost producer for solar panels, and REC, eager to sell to China, had expanded its Moses Lake workforce and invested a whopping $1.7 billion to add a more efficient manufacturing process. REC’s timing was terrible. Almost at the same time, Solar World, a solar-cell manufacturer in Hillsboro, Oregon, complained to U.S. trade authorities that China’s heavy government subsidies allowed its manufacturers to dump below-cost solar cells on the American market and throttle domestic U.S. producers. In response, the Obama administration slapped tariffs on imports of Chinese solar cells. The Chinese, retaliated with a 57 percent tariff on American-made polysilicon, which left companies like REC reeling. 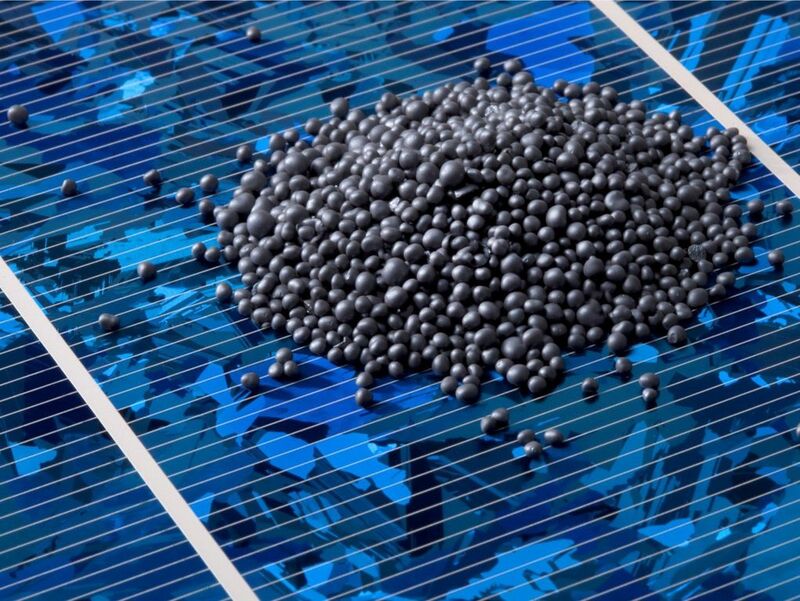 REC scrambled to lobby the Obama administration with what it believed was a convincing case — namely, that America should favor polysilicon manufacturing over solar-cell manufacturing. Where cell manufacturing has become a heavily automated, largely low-wage sector, polysilicon manufacturing requires massive amounts of technology and well-paid expert labor. 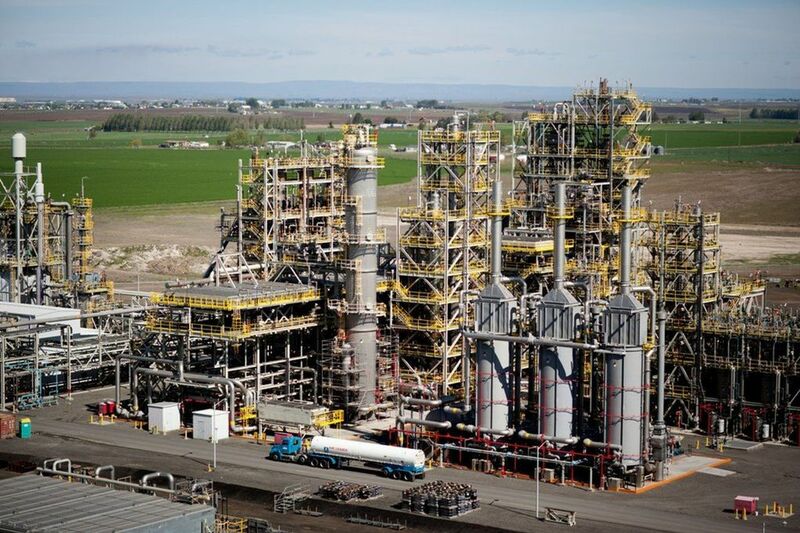 The average salary at the Moses Lake plant is $100,000, Sullivan said, which is about half again as high as average household income in Grant County. Further, where China was already the dominant player in solar cells, the U.S. polysilicon industry was making huge gains in technology and was poised to become the global leader. That was critical because polysilicon isn’t just for solar cells. The material is widely seen as the basis for a lighter, less expensive battery technology — without which the electric-vehicle revolution may not really happen. But the Obama administration officials were largely deaf to the company’s pleas, Sullivan said, in part because the administration was still keen to encourage a domestic solar industry. Sullivan said the Trump administration has been far more sympathetic to REC’s concerns. But, she acknowledged, thus far that sympathy hasn’t translated into any real movement toward resolution of the trade dispute — or even any of the economic relief that farmers, for example, have won from the administration. In the meantime, the situation for REC has become more precarious. In May, the Chinese pulled back on subsidies for their solar-cell manufacturers, which throttled demand for polysilicon and sent prices into free fall. In July, the Chinese imposed another round of tariffs on some U.S. polysilicon imports. REC has responded by cutting staff and output — the Moses Lake plant is now operating at only 25 percent capacity. Yet at that reduced volume, per-kilogram production costs have risen dramatically. That’s one reason REC has now lost money in seven of the last 15 quarters, despite having some of the most advanced technology in the world. The news isn’t all bad. Market analysts expect polysilicon prices to firm up next year, which could allow REC to exploit its technology advantage. Further, by 2022, some analysts expect that a nascent battery industry could boost polysilicon demand and prices. And, in theory, the Chinese and the Americans could settle their trade dispute, which could reopen the vast Chinese market to REC. On Thursday, President Trump tweeted that he was optimistic about prospects for a meeting with Chinese President Xi Jinping at the G-20 summit later this month. The company has an extra incentive to keep the Moses Lake plant open: Once the complicated manufacturing equipment is idled, said Sullivan, it’s extremely expensive to restart — or to keep its highly skilled employees from leaving town. 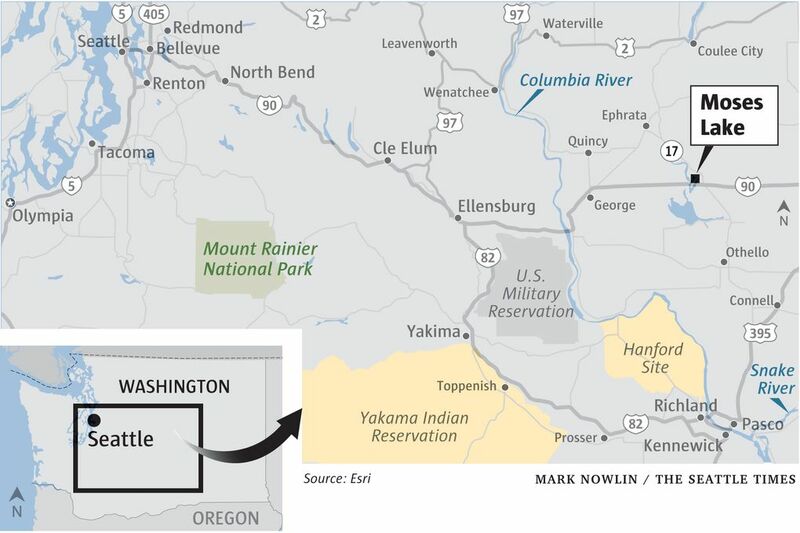 Moses Lake itself, meanwhile, remains in watch-and-wait mode. Mayo, with the economic-development council, said that although the community is weary from the effects of the trade dispute, it remains supportive of the president’s aggressive trade policy. “We’re pretty red here,” Mayo said, with some humor, in reference to a 65 percent Trump vote in Grant County in 2016.